The Verkhovna Rada has adopted a resolution to rename several settlements and districts across Ukraine on Thursday. According to the explanatory note, the renaming of geographical objects was carried out within the framework of de-communisation legislation. The Verkhovna Rada Committee on State Building, Regional Policy and Local Self-Government suggested renaming one district, five towns and 169 villages after consideration of 175 proposals from local authorities. Read alsoPoroshenko: Time for Ukraine to resolutely get rid of Communist symbolsOffers of local authorities were supported by the Ukrainian Institute of National Remembrance. 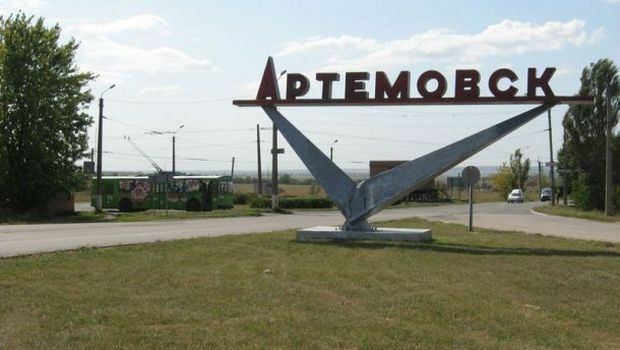 According to the decree, the town of Artemivsk is renamed to Bakhmut, the town of Dzerzhynsk becomes Toretsk, Chervoniy [Red] Lyman - Lyman, Illichivsk – Chornomorsk, and Chervonozavodske – Zavodske. Read alsoBan of Communist Party final: Ukraine’s Supreme Administrative CourtThe decision comes into force from the day following the day of its publication.